A few posts ago, I introduced you to my niece, Stephanie, who joined Viva la Dolce as a contributing writer. 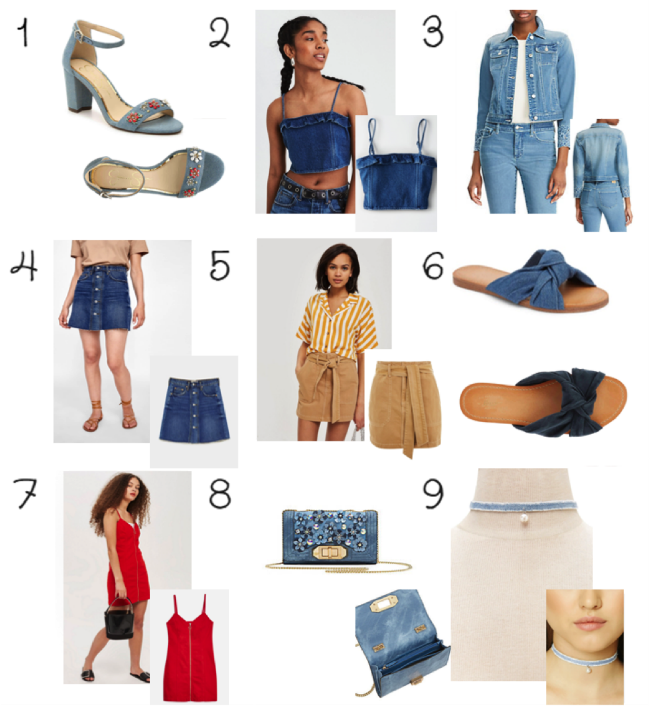 In her first post, she gave us great suggestions for spring dresses; Stephanie is back again with more fashion advice, this time, on the current denim trend. Read on for some great tips and links for your summer wardrobe! Denim has been a long-time staple in many people's wardrobes for hundreds of years. This textile has an extensive history of reinvention and popularity in the fashion industry. The use of denim in fashion has continued to grow from its initial use to create classic jeans in the 17th century (back when they were known as the "working-man's pant"!) to its enormous popularity and categorization as an essential item in the 1950's. Fast forward to the 1990s, and denim was largely worn in the "over-baggy" jean trend, while the next decade saw an exact opposite trend with the super-skinny low-rise jeans in the early 2000s. Looking back on all of denim's past iconic style moments, it's clear that the use of the material has been changing with the times and growing in the fashion industry for literally centuries! Seeing as denim is so versatile, it is no surprise that it continues to thrive in today's fashion industry. There are so many ways to wear denim today that go way beyond the traditional pair of jeans. In fact, in recent years, high fashion brands have begun to incorporate denim into more unconventional pieces of clothing and accessories (such as bags, shoes, and even jewellery!) more and more. To help you keep up with this trend, here are nine different items that you can use to incorporate some denim into your outfits right now!